Here's a little post that I should have written weeks ago. 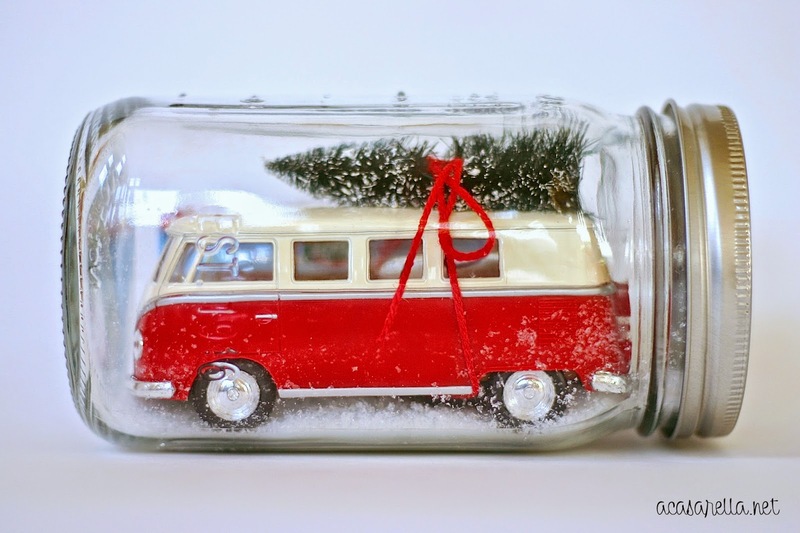 But since I am not one of those bloggers who starts thinking about Christmas in July, I am publishing it today. Loyal readers (hi mom!) will remember that I recently had the opportunity to teach a session at San Diego's Urban Craft Camp. I am happy to report that the class was great and people loved their bottle brush snow globes. I think this craft is pretty self explanatory so I'm not going to do a tutorial, however if you want more information about how to make one, let me know in the comments. What I will tell you is that if you use a wide mouthed mason jar like the one below, you can fit a gift card in with the bus. 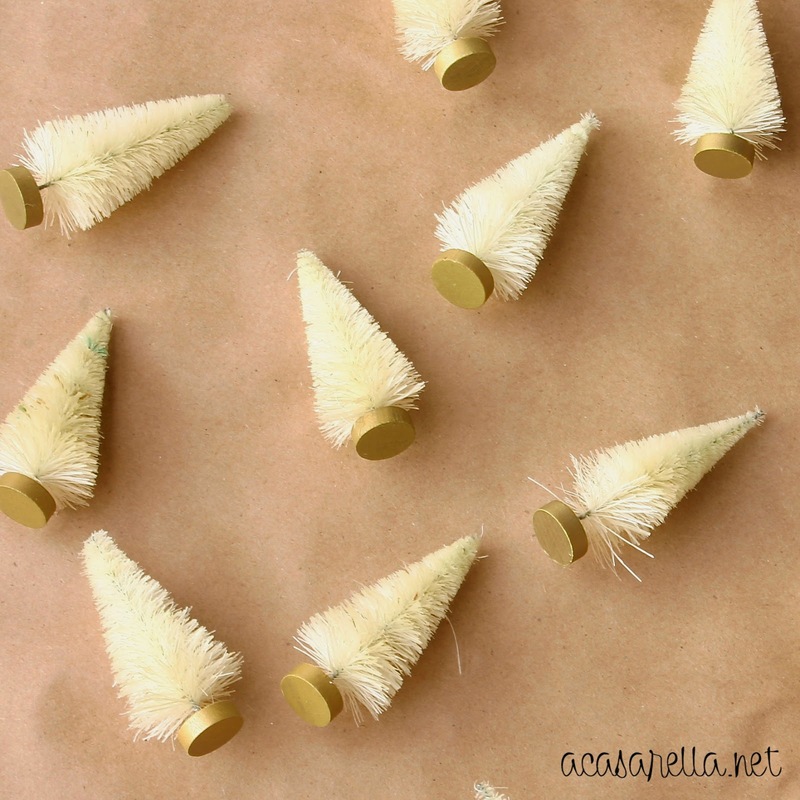 I also probably don't need to explain these DIY present toppers since I've discussed similar ones HERE. 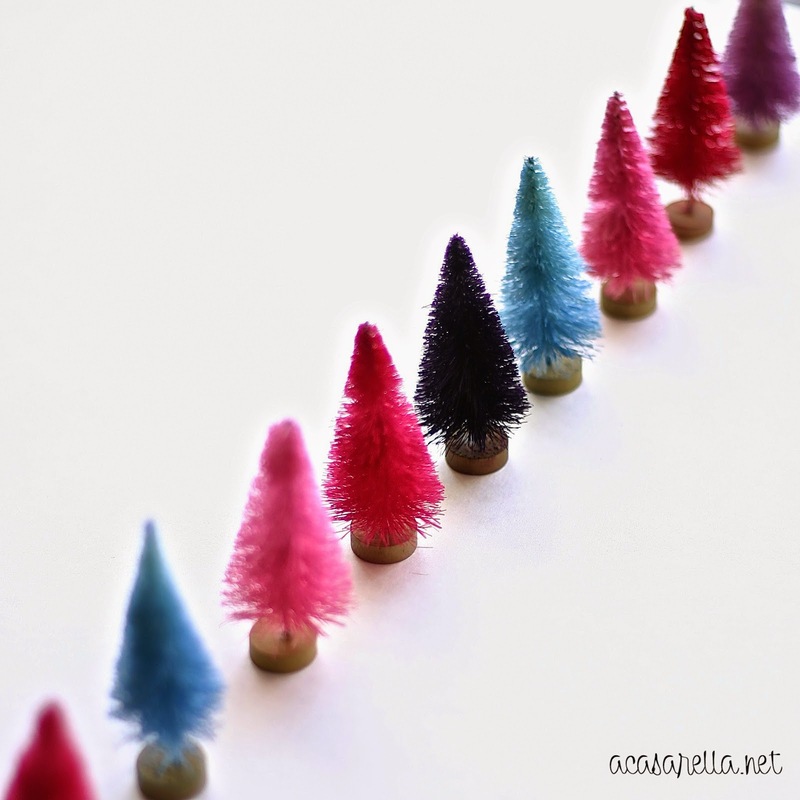 What I will tell you how to make, however, are these colorful bottle brush trees! 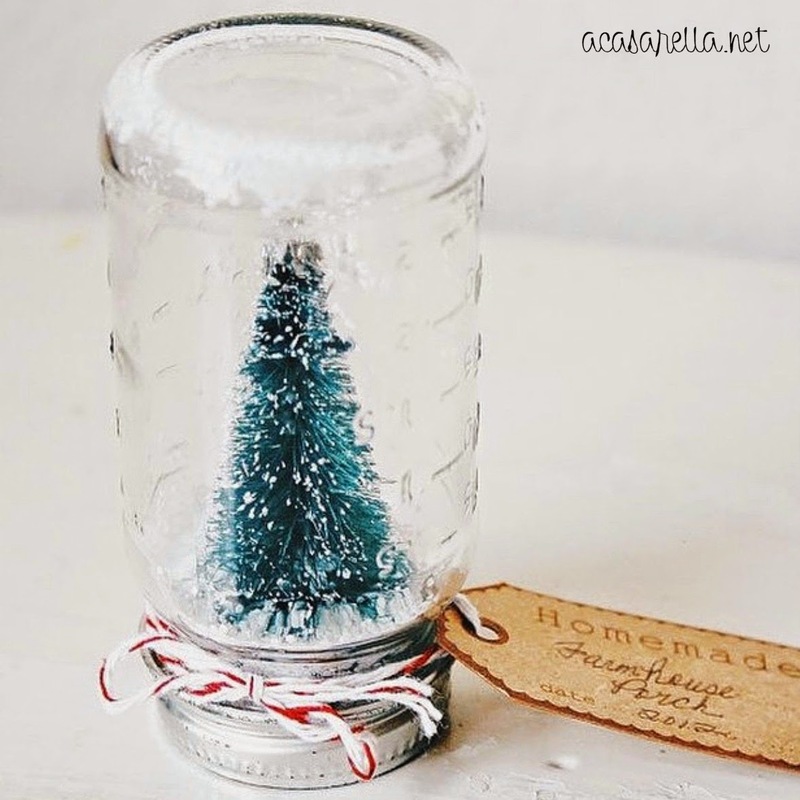 I whipped them up a few weeks ago and have been having a great time sprinkling them around the house. I should warn you right now that if you're looking for exact measurements and precise instructions.... well, you're in the wrong place. 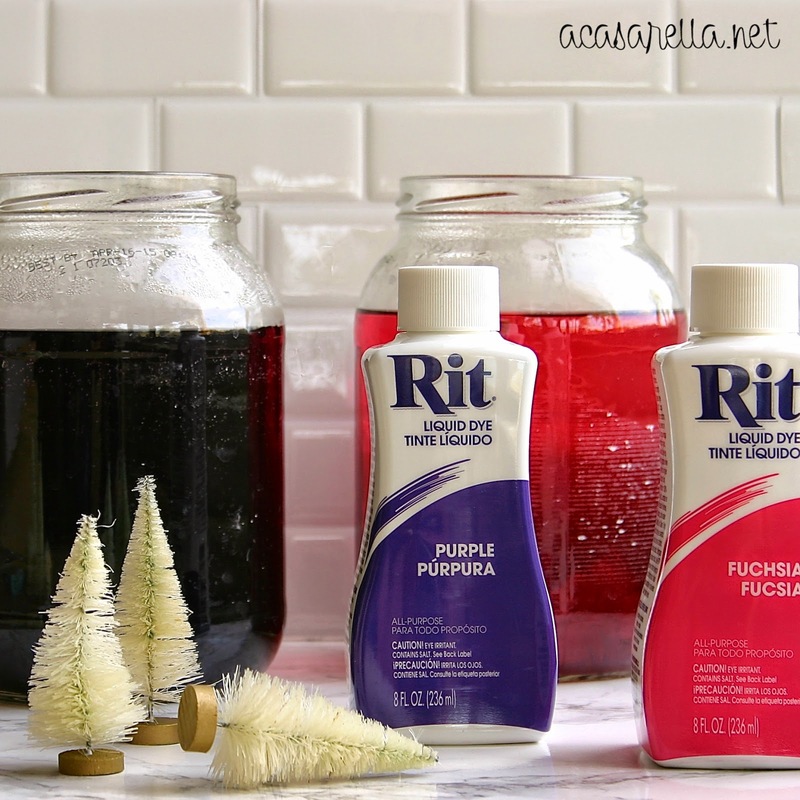 After that I filled some old pickle jars with hot water and RIT dye. Again, no measurements, I just poured in a few splashes of the RIT until I liked the color of the water. Then I tossed in the trees until I liked their color. 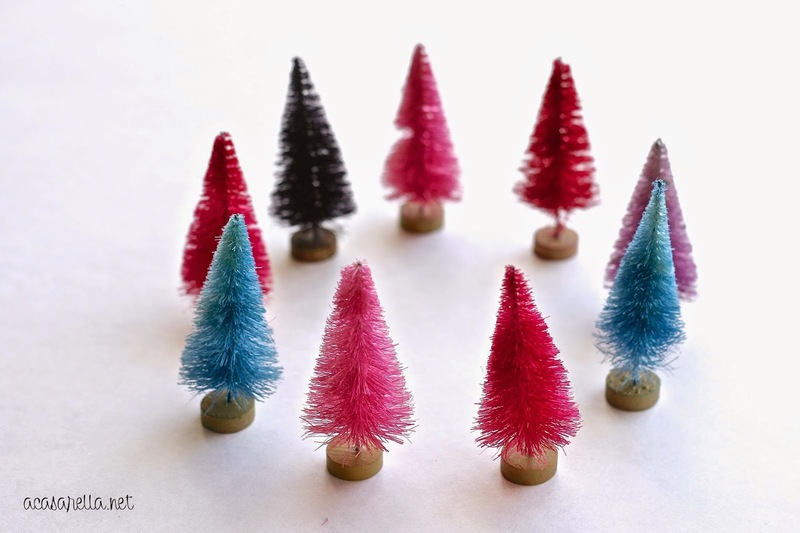 I love all things related with bottle brush trees. I wish I lived closer because I would have loved to have attended an Urban Craft Camp...especially one where you were leading your own group of crafters...how fun! 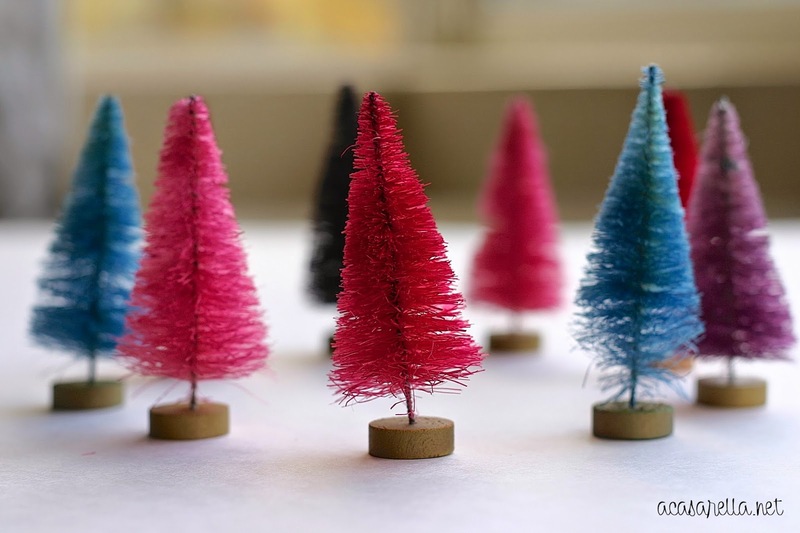 I never would have thought to bleach and dye the trees! Brilliant (and gorgeous)! Thanks, Nicole! I think I'm going to do even more this year! 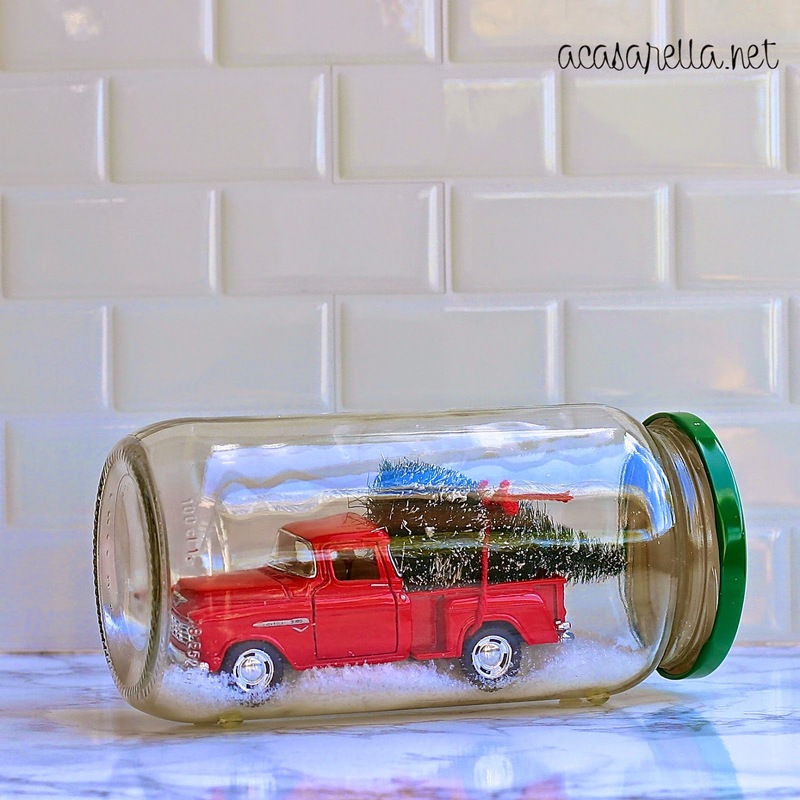 What did you use for the snow under the truck in the jar? Love it! Hi Michelle, Here is a link to the snow: http://amzn.to/1JlSB2s Merry Christmas! !